The Transportation Security Administration (TSA) announced an award of approximately $19.5 million to Dallas Love Field Airport for construction related to the installation of a new in-line baggage handling system. The project involves the modification and construction of the terminal building infrastructure to allow for the installation of the explosive detection system machines and explosive trace detection resolution areas. 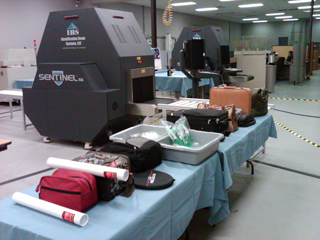 The new checked baggage screening system is designed to enhance TSA’s efforts to strengthen airport security. The approximately $19.5 million award is made available from fiscal year 2010 funds. The airport’s in-line baggage handling system will better serve the more than 6 million passengers who travel through Dallas Love Field Airport each year.